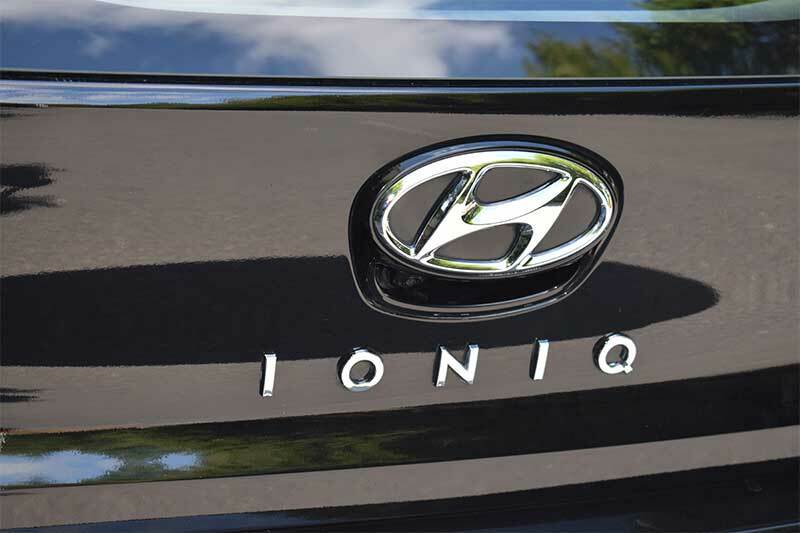 The Ingenious Hyundai IONIQ is available as a hybrid, an all-electric vehicle, and a plug-in hybrid with extended range. 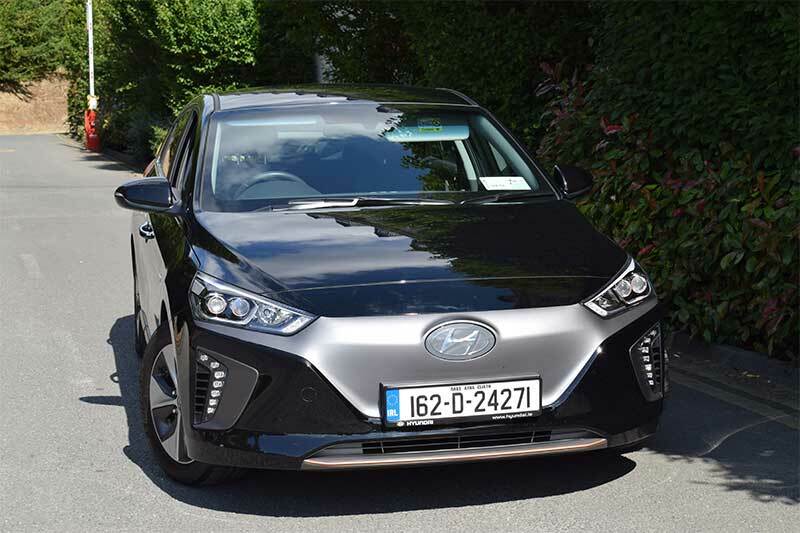 My test car this week was the all-electric IONIQ which offers an attractive price of just €28,495 (ex works) after deduction of the Government Grant for private buyers of €5,000. 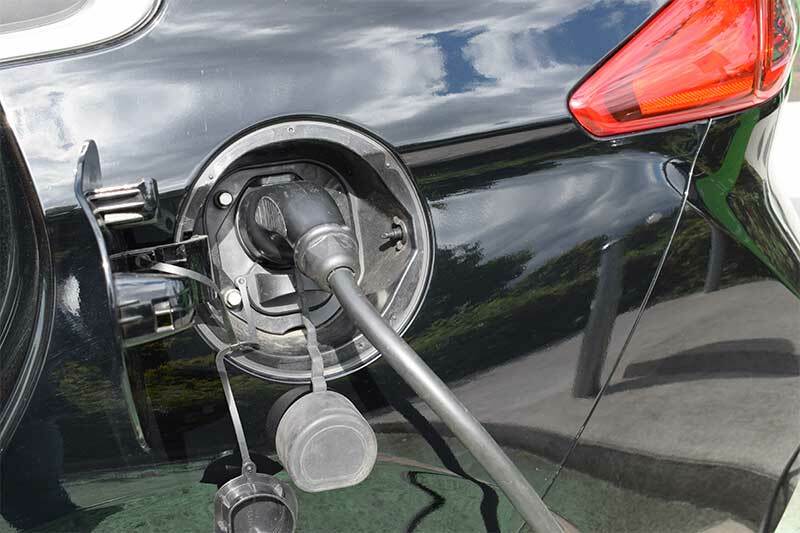 It offers a strong driving performance and an upmarket interior, while reassuring the driver that they are doing their bit to protect the environment. 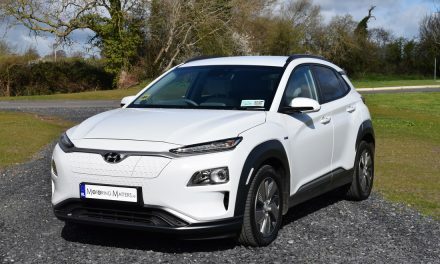 The new IONIQ is definitely one of the best-in-class pure electric vehicles on the market today and a driving range of up to 280km puts it ahead of its main rivals, the Nissan Leaf and BMW i3. 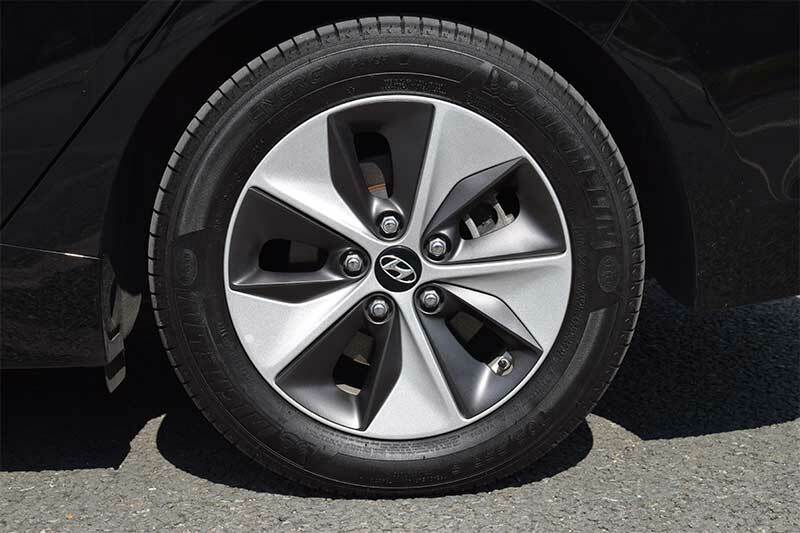 This range should be more than adequate for most electric vehicle buyers, but in order to reduce so-called ‘range anxiety’, the IONIQ comes with a battery charger that can be plugged into a standard 3-pin electric socket. 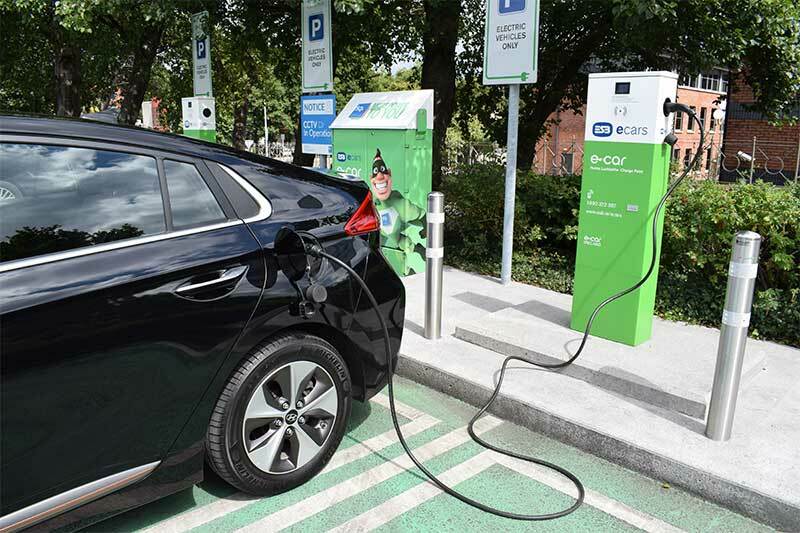 Also supplied is the cable for charging the IONIQ at an ever-increasing number of charging stations around the island of Ireland. 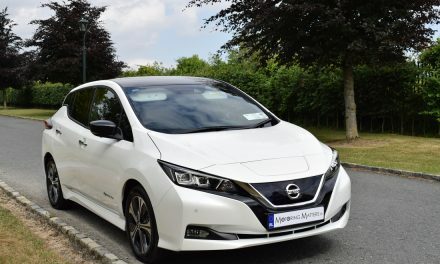 The 88 kW electric motor’s high torque performance (providing 118bhp and 295Nm of torque) is powered by the super-efficient 28 kWh Lithium- Ion Polymer battery – which comes with an 8-year (200,000km) warranty (t’s & c’s apply). The battery is located low in the chassis, which also lowers the car’s centre of gravity, essential for a fulfilling and responsive driving experience. 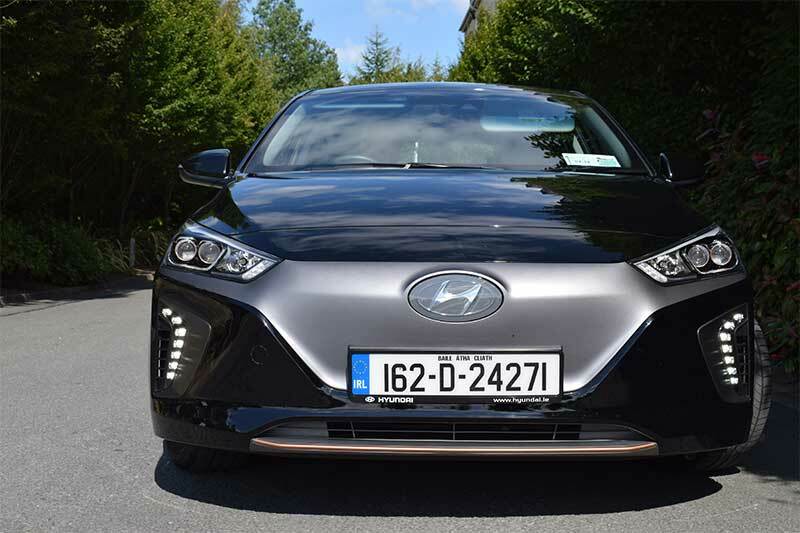 Hyundai’s exterior design team have done a marvellous job in making the new IONIQ look like a conventional petrol car from afar. 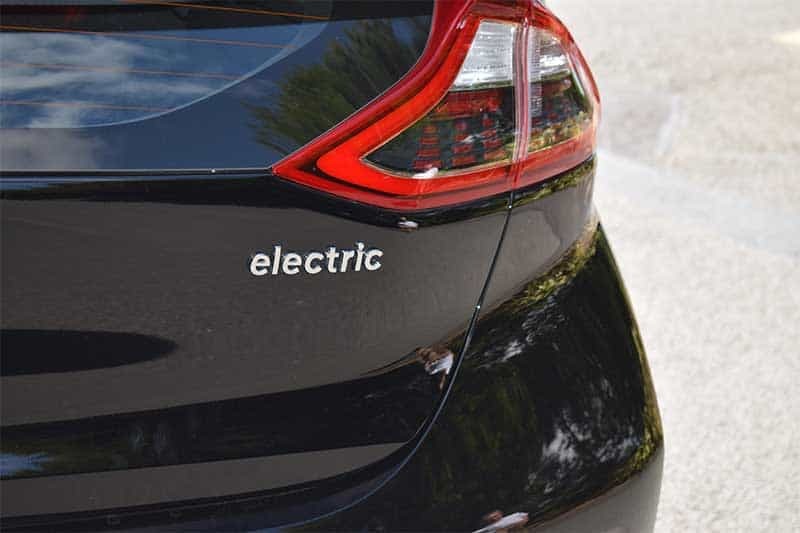 The side profile and rear of the car give no clue to the IONIQ’s all-electric powertrain, as it is only the large grey plastic panel (which helps the air to move more efficiently) – where the traditional grille would be – that alerts you to the fact that this is an all-electric car. An aerodynamic body forms part of a plethora of efficiency tricks that include a special climate control system and regenerative braking. Inside, the IONIQ is equally impressive, as the materials used feel good to the touch and there are some copper-coloured highlights around the cabin that give a youthful appeal. High-tech design and innovation define the clutter-free dashboard. Its dual mode digital instrument cluster automatically changes appearance and colour when either ECO or Sport mode is selected. The navigation system features a high-resolution 8” touchscreen and smart phones connect effortlessly with the Apple CarPlay and Android Auto-enabled infotainment system for on-screen control of music, telephone and navigation functions. A push-button drive controller sits between the front seats where the gearshift lever would be in other IONIQ’s. There are four buttons: D for drive, P for park, R for reverse, and N for neutral. I found this system to be very user-friendly. 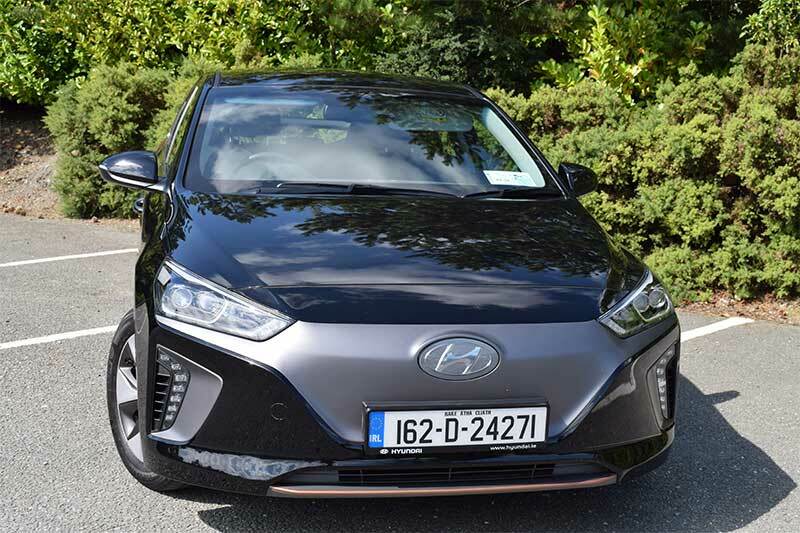 Standard specification in the new IONIQ includes Bluetooth, twin LED auto lights, LED daytime running lights, lane departure warning, hill start assist, autonomous emergency braking, keyless entry with start/stop button, tyre pressure monitoring system, 16” alloys, auto power-folding door mirrors, heated seats, smart adaptive cruise control, rear parking sensors, rear camera and many more comfort & convenience features. There’s enough space in the back of the IONIQ for adults, and the 350-litre boot increases to 1,410 litres with the rear seats folded down. 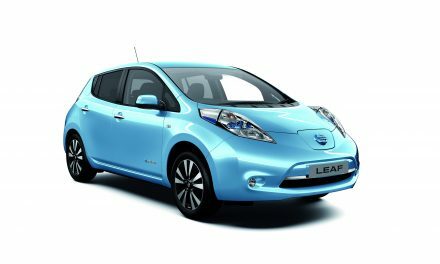 Some of the boot space is taken up by the charging kit, but it is still a practical load area and should satisfy the average family’s needs. 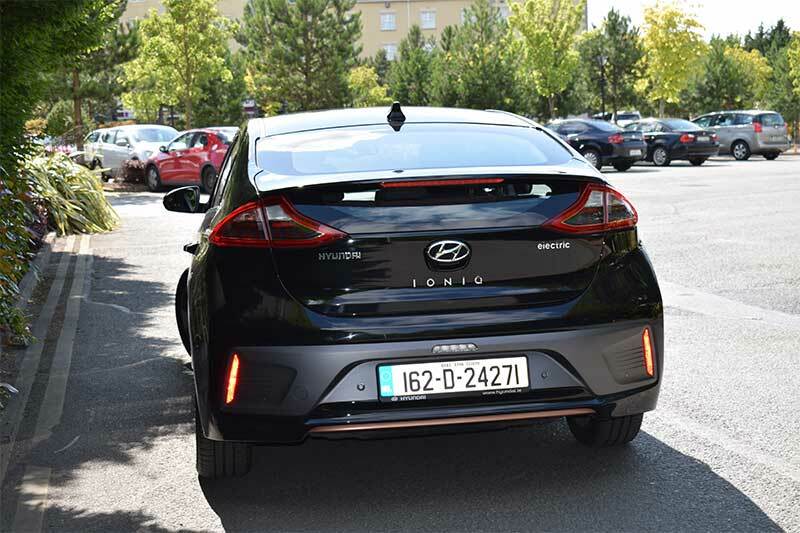 The new Hyundai IONIQ feels right at home in an urban environment, but – with a 0-100km-sprint time of just 10.2 seconds – it is more than capable of motorway driving too. The fact that it does everything you ask of it without a peep from the motor, except for a hushed whine and an external hum to warn pedestrians that you’re approaching, is the real icing on the cake for me. 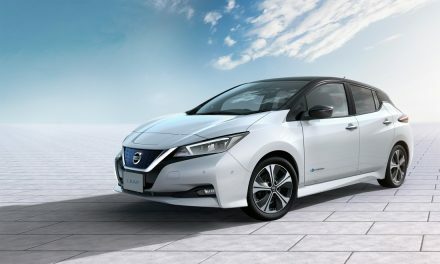 The all-electric future of motoring has never looked better!